Otis R. Taylor Jr. will cover Oakland and the East Bay. Joining the San Francisco Chronicle to write about Oakland and the East Bay, Tuesdays and Fridays, is Otis R. Taylor Jr. (pictured). He was born in New Jersey and spent part of his youth in South Carolina before finally moving to the Bay Area. 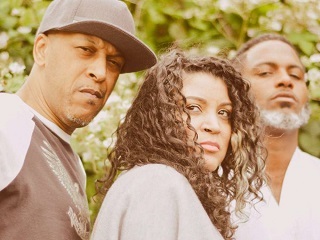 Digable Planets performed on a balmy afternoon. The group’s message of self-expression, self-love and self-worth resonates with me so strongly as I live through today’s turbulent social climate so exhausted by a collective lack of empathy. Either the music never gets old or we the people haven’t gotten very far together. I’m cool with it being a little bit of both, because that, among other East Bay issues, is something we’re going to discuss. After Pitchfork, tired and dirty from a day of riding a bike and sweating outdoors, I ended up at a restaurant with a limp and watery representation of Chicago deep-dish pizza in front of me. There, in the booth next to me, was Butler of Digable Planets. I thanked him for the music. As we dapped, I told him where I was from: Oakland. City columnists are one of the beats newspapers can still own. Down the coast, a bright spot of the Los Angeles Times, through all that recent tronc business, remains Steve Lopez. Great stuff.